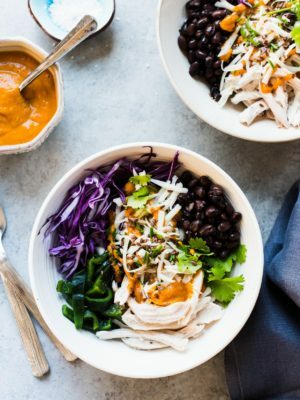 Chicken, Black Bean and Charred Poblano Salad with Pumpkin-Red Curry Vinaigrette is bold and flavorful! The dressing is a great way to use leftover pumpkin. Chicken, Black Bean and Charred Poblano Salad with Pumpkin-Red Curry Vinaigrette is bursting with bold flavors and crunchy textures – and you’ll especially love the dressing, which is a great way to use extra pumpkin puree. It’s just one of many delicious recipes from The Modern Salad cookbook by Elizabeth Howes. From the first time I saw the fairy godmother transform Cinderella’s pumpkin into a carriage, to the first time I took a visit to the pumpkin patch, to the first pumpkin pie I ever baked (first pie of any sort, for that matter), pumpkins, as you can imagine, hold a special place in my heart. They’re jolly and magical, they’re eerie and delicious. And as much as I love them in all things sweet – such as the muffins I revisited this weekend – I also love pumpkin in savory dishes. Now that autumn is decidedly upon us, and with pumpkin-spice invading nearly everything (including hair color!? ), I couldn’t wait to share one of my favorite recipes from my friend Elizabeth Howe’s new cookbook: The Modern Salad : Innovative New American and International Recipes Inspired by Burma’s Iconic Tea Leaf Salad. Elizabeth’s cookbook is full of fresh and unique flavors, and lest the carnivore in you is worried that a cookbook about salads may not be for you, don’t worry. 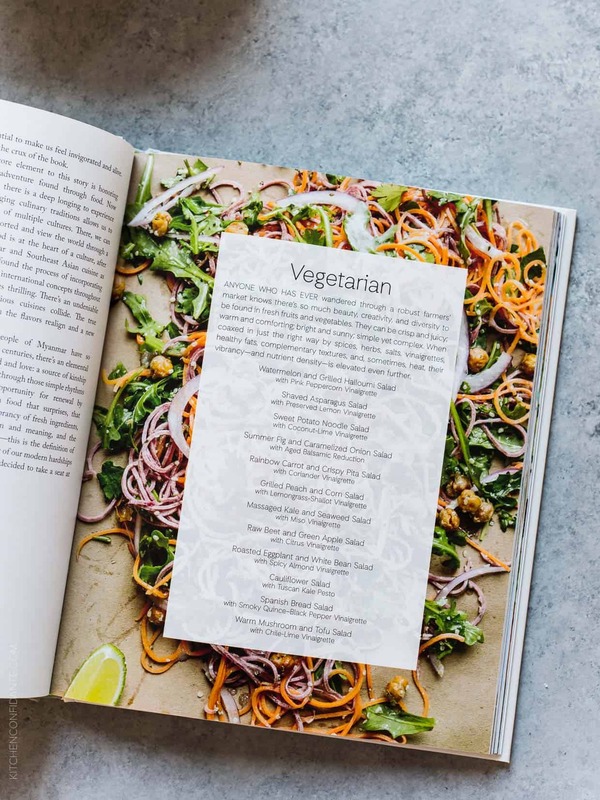 Yes, there are plenty of recipes to make any vegetarian happy, but she also has whole sections devoted to all the proteins – chicken, turkey, duck, fish, pork, and beef, to name just a few. These salads are perfect for the wholesome weeknight suppers you crave. 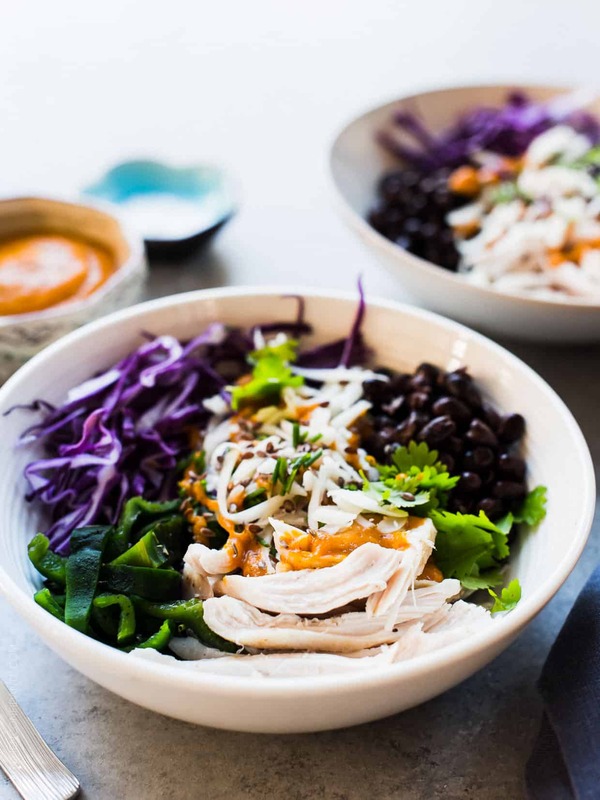 One example is this Chicken, Black Bean and Charred Poblano Salad with Pumpkin-Red Curry Vinaigrette. Whether you roast some chicken or have some leftover, it’s a simple dish that you can throw together quickly, making it a delicious dinner (or if you have leftovers, a perfect lunch to bring to the office). 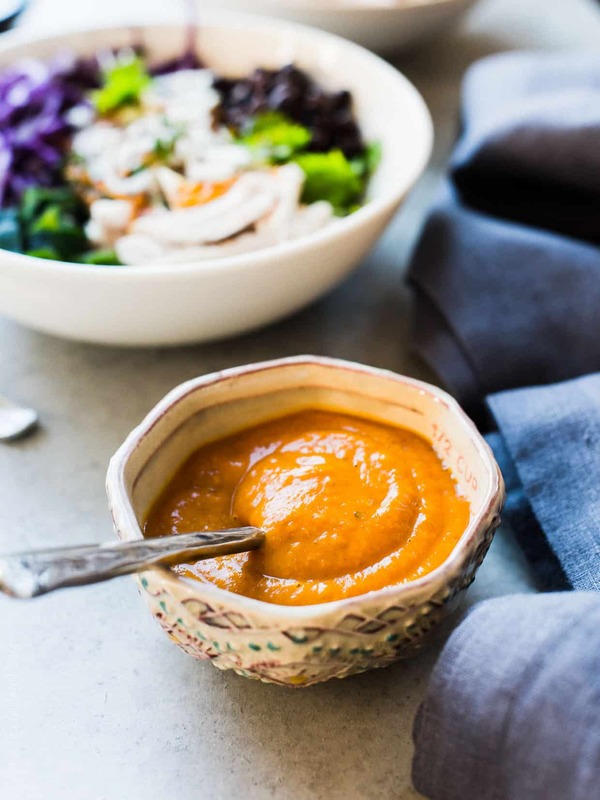 The pumpkin-red curry vinaigrette is what excites me most – it makes use of toasted spices, bringing a fragrance to the whole dish, binding the crunch of the cabbage with the smokiness of the charred poblano pepper and the smoked mozzarella cheese. With all the indulgence that starts at this time of year, I love salads like this Chicken, Black Bean and Charred Poblano Salad that help us reset when we’ve had, I don’t know… maybe too many pumpkin muffins. It has the crunch and flavor I love, and that way I can still get my pumpkin fix while the craving is going strong. 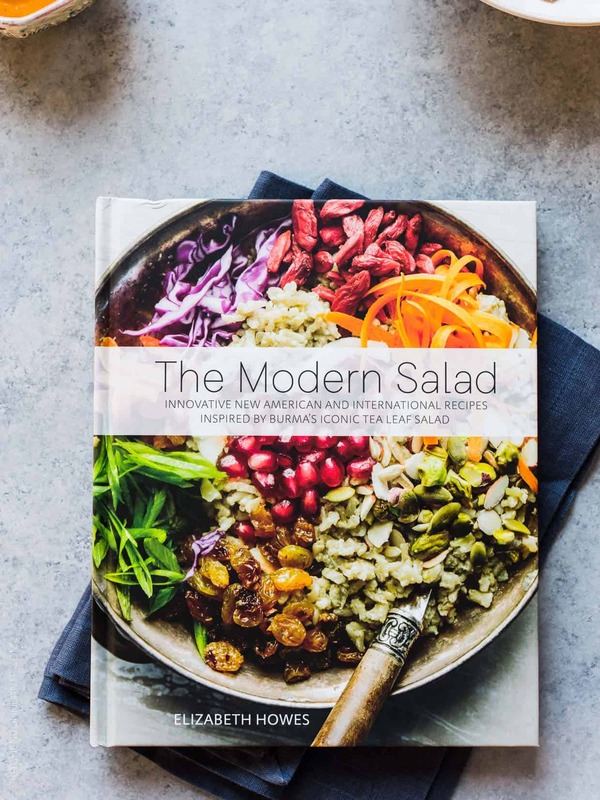 Disclosure: I received a complimentary copy of The Modern Salad: Innovative New American and International Recipes Inspired by Burma’s Iconic Tea Leaf Salad for my review. All opinions are, as always, my own. There are affiliate links in this post. 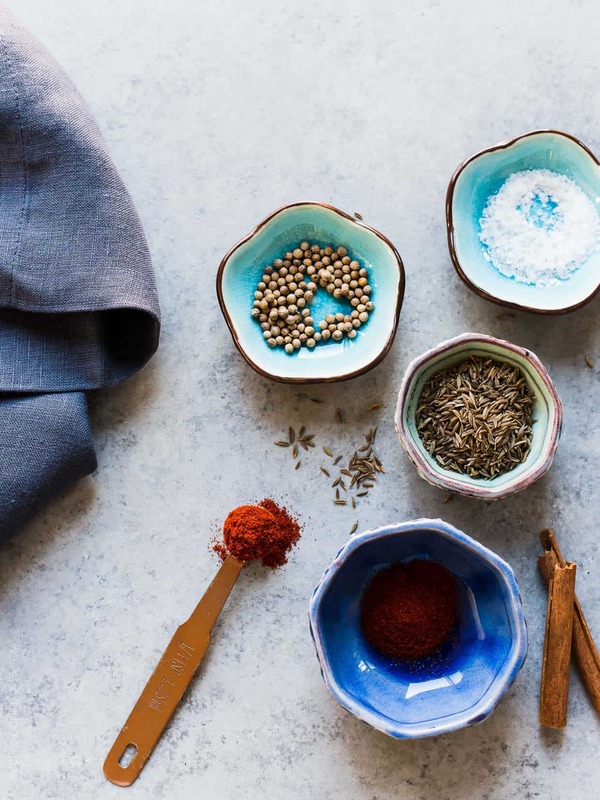 To make the vinaigrette, grind the coriander, 1 tablespoon plus 1 teaspoon of the cumin, and the cinnamon stick in a spice grinder until fine. In a blender or food processor, combine the pieces with the paprika, pumpkin, garlic, red curry paste, unseasoned rice vinegar, mirin or sweetened rice vinegar, and maple syrup. With the motor running, slowly stream in the olive oil until emulsified, and season with salt and pepper. Transfer to a glass jar, and refrigerate for up to 5 days. For the chicken, preheat the oven to 400°F, and line a baking sheet with parchment paper. Drizzle the grapeseed oil over each breast. Grind the remaining 1 tablespoon of cumin, and season with cumin, salt, and pepper. Bake for about 30 minutes, bone side down, or until the internal temperature registers at least 165°F. Remove from the oven, allow to cool, and shred the chicken. Set aside until read to assemble the salad. 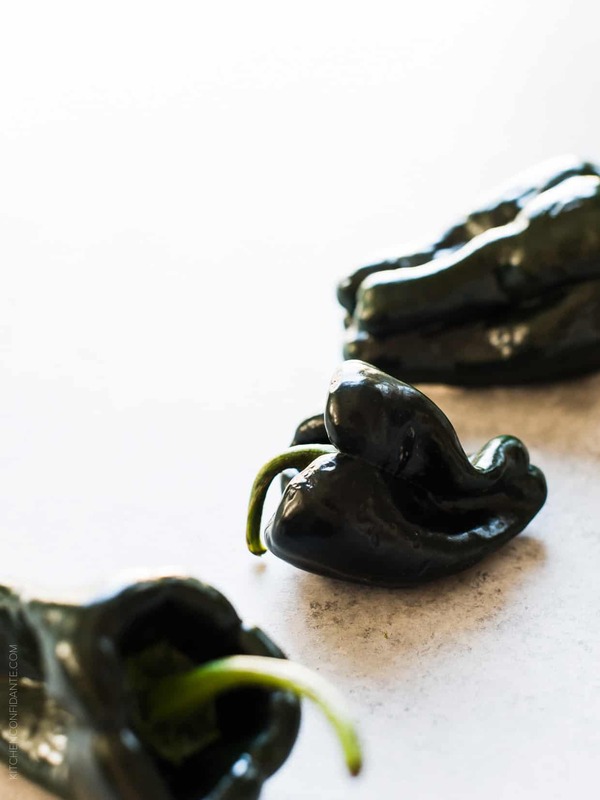 Place the poblano peppers over a direct flame (your hottest gas burner or grill). Carefully rotate with tongs until the peppers are completely blackened. Remove from the heat, and place in a paper bag or wrap in parchment paper for 10 to 15 minutes. The steam makes it easier to peel the skins. Once the peppers are cool, remove the skin. Don’t worry if you can’t remove all the charred bits. Leaving some intact lends a smoky flavor to the dish. Remove the stem and seeds, and slice into 1/8-inch strips. Season with salt and pepper. 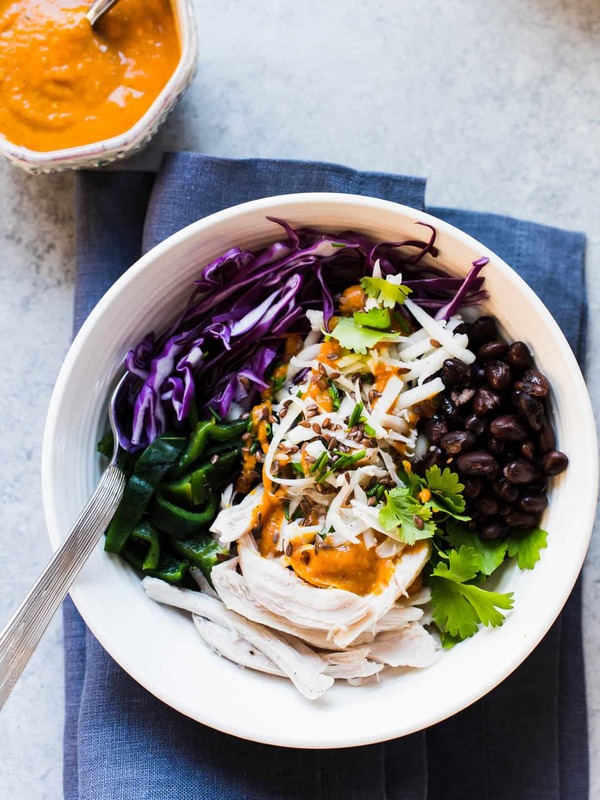 To assemble, arrange the shredded chicken, peppers, beans, cabbage, cheese, herbs and hemp seeds on a large platter or on individual plates. Serve with Maldon sea salt and pepper, and serve the vinaigrette on the side. Note from Liren: I substituted flaxseed for the hemp seeds and they were just as delicious! Recipe reprinted with permission from The Modern Salad: Innovative New American and International Recipes Inspired by Burma’s Iconic Tea Leaf Salad by Elizabeth Howes (Ulysses Press, 2016). 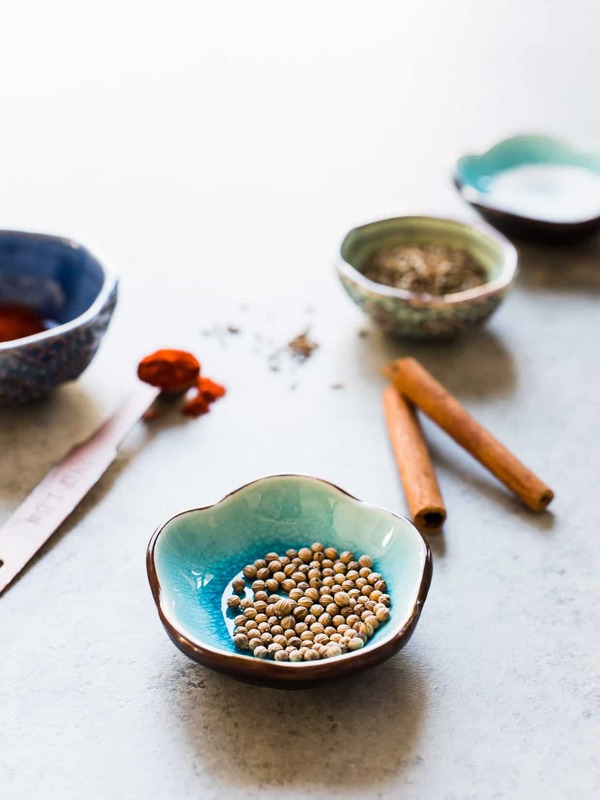 What a gorgeous bowl! 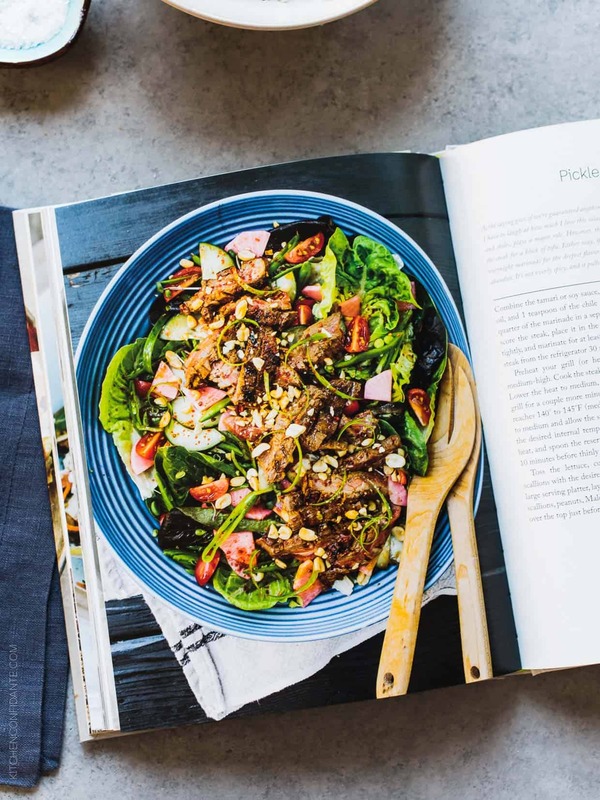 I am such a sucker for big, hearty salads for dinner, so this book looks right up my alley. That vinaigrette, too… I want to put that on everything. I agree, sometimes, I just want bowl of salad for dinner – one stop shopping! And you know what, I think that dressing would be delicious with grilled shrimp! Now this is one gorgeous salad! I’m officially obsessed with that vinaigrette too! The dressing alone is worth making, that’s for sure! wow, you had me at black bean/chicken, charred poblano, but the Pumpkin-Red Curry Vinaigrette looks really interesting! especially since I’m a little tired of my “go-to” vinaigrettes, thank you! The dressing is really a great way to change things up for fall! Hope you get to try it, Sabrina!